Divaguhawa, also spelt Diwaguhawa or Diva Guhawa, has become a major Buddhist pilgrimage site recently, as it is believed to be the cave where the Buddha rested when visiting Siri Pada (Adam’s Peak). 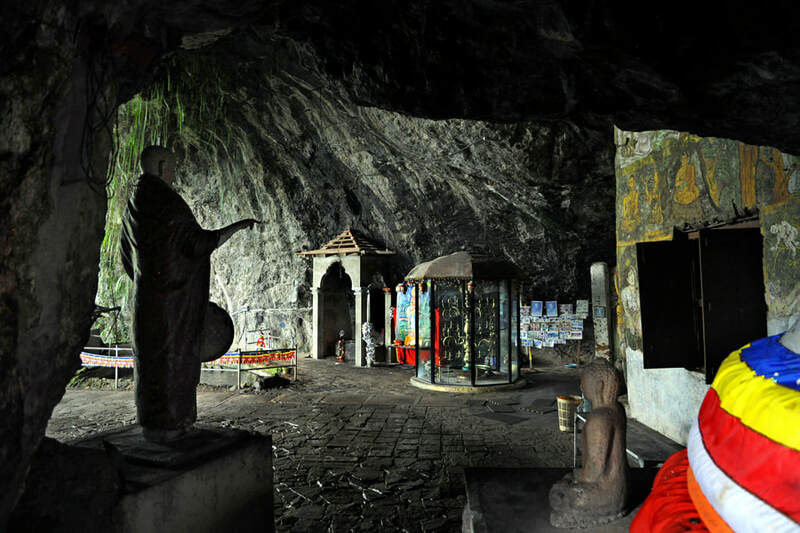 Thereby, Divaguhawa cave housing a temple in the Kandyan style is one of the 16 Solomasthanas. Apart from the Tooth Temple in Kandy, the 16 Buddha-visited places are the most sacred Buddhist sites in Sri Lanka. The cave temple high above ground level offers perfect views to Adam’s Peak. Divaguhawa is a prehistoric cave too, known under its former name as Batathota Lena, also spelt Batatota Lena or Bathatotalena.